This blog is open for past puppy buyers to leave a comment about their experience with Silver Creek Goldendoodles and their puppy! There are some families that do not have a facebook, so here is another spot to hear stories from previous buyers. We adopted our little doodle from the Scarlett and Gus litter. Our little orange collar boy is named Winston and he has brought so much joy to our lives. He is well mannered, learns quickly, and has the sweetest temperament. Billie did a great job of caring for and socializing our little boy. We also enjoyed Billie’s care in providing video links and pictures each week. Billie is a wonderful communicator and continues to answer questions and offers suggestions after you take your doodle home. We highly recommend Silver Creek Goldendoodles for the next addition to your family. I adopted my spunky little goldendoodle from Billie last May. His name is Fergus and he is the silliest, sweetest, most wonderful little puppy. Everyone who's met him loves him (and he loves everybody and every other dog he meets). He does great in his classes, he plays with every size of dog, and could not be a more perfect fit for me, my family, and our entire neighborhood! The process seemed a little daunting at first, but Billie was really great at getting back to me with my endless questions (sorry, Billie!! :D ). She's good at keeping in touch when she finds new foods or supplements she thinks are good for the dogs and did a fantastic job with the caring for the puppies before they went to their new homes. If I decide to get Fergus a little brother or sister you can bet I'll be going through Silver Creek Goldendoodles. We have 3 doodles from silvercreek. We can’t express how much we love these guys. Each one has a different personality but all so lovable. Thanks Billie for our babies. Amazing breader, my son's service dog is amazing! Billie is fantastic. Our puppy is wonderful, we are so happy & thankful for the exceptional job she does. If you are looking for a dog she's the place to go! Billie is super helpful and does an AMAZING JOB raising these puppies. My dog has been the best thing that has ever happened to me. I want another one from her in the future! Highly recommend! Billie is such a great breeder I couldnt be happier we chose Silver Creek Goldendoodles to get our puppy! Having the live cam while he was growing up was the best and all my friends/family loved it when I would show them! I own a grooming salon in Denver NC and I groom Finley and I must say she is perfect! We can’t say enough about the great job that Billie is doing breeding her pups. We’ve had our year old female since last February and what a ball it’s been! Billie was a big help in picking our pup and she has been there throughout this first year generously offering expert help and caring guidance. Everywhere we go people stop us to say what a beauty Willow is. Every interaction I’ve had with Billie and her doodles has been positive. Not only is she a loving, responsible breeder who treats the pups as part of the family, she also goes above and beyond to answer questions, offer advice and help out where possible. I’ve had the pleasure of being able to watch Silver Creek Goldendoodles grow from the inception. When I first met Gabby, as a young pup herself, I knew I wanted a doodle. I’ve been blessed to have Gabby’s daughter, Beulah, to join my family. She’s brought such joy to my life. These pups have such great dispositions. I can’t recommend Billie highly enough! Billie is an amazing person and breeder!! She answered all of my many (some crazy) questions throughout the whole process. I continue to ask her questions and Finley is over a year old! Billie loves all of the babies! She takes tremendous care of them. My family loved the live cam. We watched Finley come into the world and watched him everyday until we brought him home. 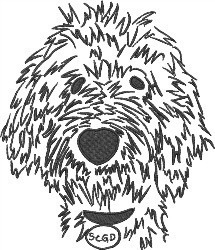 If you are looking to add a Goldendoodle or Labradoodle to your family look no further than Silver Creek Goldendoodles!! You will NOT be disappointed! !